Was taking a break from work and glancing through my photo albums when i stumbled upon the one titled "Ooty". Its been 2years since my last visit and i sure hope i get the chance to revisit the hill station. Back in school when i had visited Ooty 1st time, the toy train had us all in squeals, laughing and cheering on.. And later, when we visited Ooty during my MBA days for a holiday + workshop, we were enjoying the sights and scenes that came along with us. We were 4 close friends who wandered the town, took off on our own looking for hidden treasures, got into trouble for being late to the workshop sessions, but at the end we had FUN! The Church is a Gothic church and is one of the best known colonial structures in Ooty. The church was apparently constructed and carved totally from wood. The interiors are beautiful and it was cooler than outside..probably because of the wood. 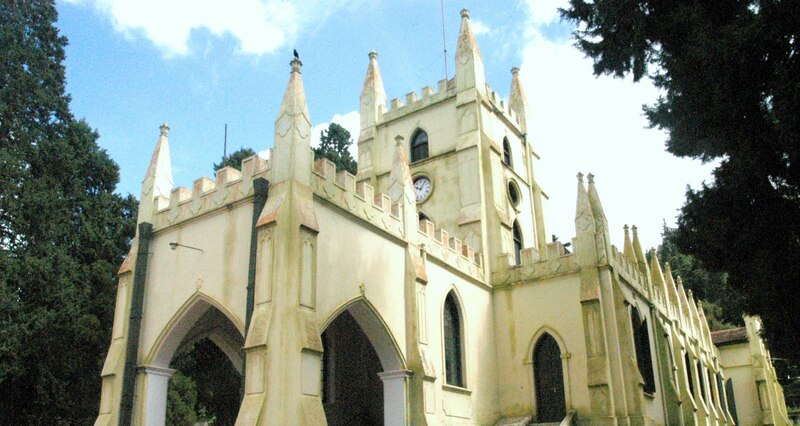 Stories around the Church say that the wood was brought from Tipu Sultan's palace and was transported to Ooty through elephants. 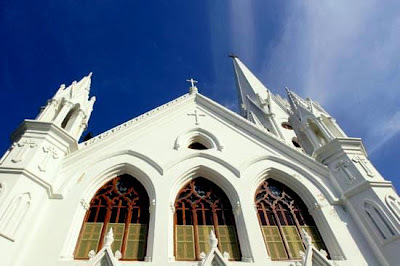 The Santhome Basilica, Chennai is an architectural marvel that holds my attention every time i drive past it. The pristine white walls, the pointed structure, and the cross on top- Quite a sight! !